Torquemaster Outdrive on AX10 Scorpion? I need your help! Thread: Torquemaster Outdrive on AX10 Scorpion? I need your help! I have a NOS Warthog chassis/Scorpion build that I am working on...and I am stuck. I need your expertise! I want to upgrade to hard metal gears in the trans and axles...and run MIP driveshafts. I would like to use the Holmes Torquemaster Outdrive setup in the trans. The Torquemaster Outdrive uses the scx10/Wraith style of driveshaft connection...not the older Scorpion C drive with a grub screw like I have going on. Is it possible to use the scx10/Wraith style outputs and pinions on the Scorpion? What parts do I need to make this happen? Can I use MIP driveshafts with the updated "pin" style (not the grub screw, C type)? If so, what MIP part number do I need? i'm 46...and I am a noob with crawlers for the most part...so here I am. I would really, really be grateful for some pro help. Re: Torquemaster Outdrive on AX10 Scorpion? I need your help! Steel gears into the Scorpion trans case should be no prob. You can buy the MIP coupling with the newer style 5mm hole & screw pin connector. They'll be the same as the later HD ring/pinon axle gear sets also. Not at all a bad thing, the M4 has a bigger hex so allows you to torque tighter & less chance of stripping out hex or breaking smaller driver. Wow! Thank you so much!!! So this will allow me to run the newer style ring and pinion and also the newer trans outdrives? Would you be willing to look on MIP's site and confirm that part #18120 is what I need to order? What wheelbase will your truck be? 12" - 12.5" (305mm - 317mm) ? Last edited by altd896; 02-14-2019 at 06:18 AM. I see that equals 317.5mm when I do the conversion from inches to mm. You taught me something! Now I think I understand what the measurements mean on the driveshafts! So the 110mmx135mm (on the MIP #18120) means that it will function within that wheelbase range of 110mm to 135mm??? Yes kind of, drive shaft length is obviously a function of wheelbase & how long the trans is. That's why the same drive shafts work in a Wraith as an scx10 even though the Wraith wheelbase is longer, the Wraith trans is longer also. Your truck being basically same wheelbase as scx10 & having same trans, same drive shafts should work. I have much to learn, altd896. This is a far cry from my "Gold Pan" RC10 racing Days and 1/12 Scale carpet racing. The electronics and battery technology and variety of vehicles (and brands) has come so far. My son just turned 8 and we built his first car last week. A Grasshopper. That car is how I entered the hobby as a young teen. Then the Kyosho Icarus. Then my Hotshot and my race-only RC10. I started racing it with then mechanical speed controller! They didn't even have pistol-type radios when I started. My first radio was an aluminum box with 2 sticks! So, you see...I'm a bit of a dinosaur. ...And I realize that an AX10 Scorpion w/a Warthog Chassis isn't new tech. I just like it. That revised MIP kit we have discussed is $72 US dollars. Holy crap!!! They are proud of that. I am trying to keep costs kind of low for this build...but it seems that to make it strong...the cost goes up exponentially. In my area, I have not met any experts; except one hobby shop an hour away. I question their expertise...and their prices are ridiculous. That is why I have come here to this forum...and it is my pleasure to have had your help so far. I simply cannot thank you enough, man. What is the best way to ask you a few more questions/ communicate with you regarding this build? We're both dinosaurs together then cos I'm a year older than you, started with a Tamiya King cab in 1990 with as you say a twin stick Sanwa Dash radio. Remember how happy you were when you got a new 2000mah nicad as opposed to the 1200mah everything came with & you got 2 extra minutes run time???? Till you realised that added 20 minutes to a full hour to charge. 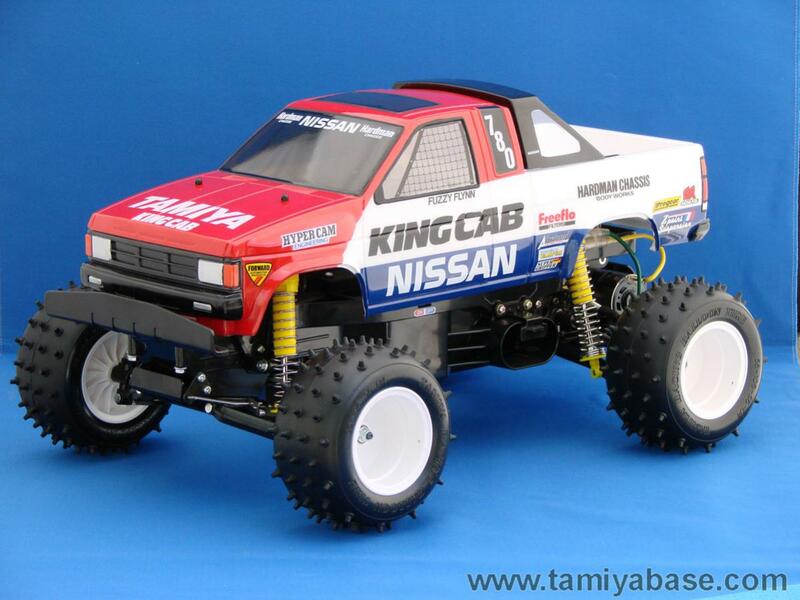 I think to some degree RC was slightly easier back then, stuff for the Tamiya KC fitted that & almost nothing else, likewise RC10 or any of the others. A lot of stuff now, while not ever intended to be universal, turns out to be usable across different platforms, hence using links off one truck on another, this drive shaft on that truck, swap this brand gearbox onto that brand chassis. Yours being an ax10 it couldn't hurt to have a good dig through that section but you may have to go back a few years, a lot of the later stuff will be full blown carbon whiz bang comp crawlers rather than the more scale tuber style. Probably good info in the scale rigs general section under both 1.9 & 2.2 sections, be a lot of component cross over. As far as I'm concerned just keep asking question on this thread, I don't see a need to start a new one for every question. The scx10 (not the scx10II) share the axles, driveshafts, and transmissions. The link lengths were shorter on the original scx but then hit the same length when the Honcho came out. The Mip's are worth it. My buddy has broke 3-4 cheap chinese knockoffs and could have had mip's in for the same length of time for less money. I'm running Mip's from 2010 on my rigs btw. You can buy cheap, or buy once. As far as run times, I generally do trail runs with my rigs and run small 2200mah 3s batteries, weighing in at 6oz each and get aprox 1-1.5 hours of running on a 20 min charge. Lipo's for the win. Battery tech has made huge leaps in energy density since I raced in the mid 90's. I find one of the best balances of cost/wheel speed/run time, is a 35t motor(brushed) with a 3s battery. I generally use about 1100 mah per mile on the trail. 2s is less efficient. If you are okay with me asking more questions here, that is really awesome!!! Is there anyone who makes knuckle weights that will fit the AX10? I see that Samix offers a cool bolt-on for the SCX10II. I am blown away by the stuff by DLUX...But I do not know if his knuckles are a direct bolt up. My guess is no. I will add brass tubes (or stainless tubes from RC Bros?) to the axles...but don't have anything coming yet. What are your thoughts on the knuckle weights? Early Ax10 knuckles are I believe the same as scx10 & off hand I can't recall a knuckle weight still in production for them. I do believe dlux can do a Ax10/sxc10 knuckle. Other option is a xr mod beef tube, that will add about ½" to each side with xr uni joint axle shafts & xr/wraith/bomber chubs & dlux knuckles. With a quick google search, I found a couple heavy knuckles for the ax10/scx10. Exact same axle/knuckle on the original scx10 and ax10. Dlux was one of the vendors I saw. Watch out for scx10II knuckles, as the aftermarket has really taken off with them. Will the Dlux knuckles bolt up and allow me to use the standard hex? I guess what I am asking is if the knuckle is a direct swap. I saw that he offered knuckles for the AX10...but didn't know if that meant an easy swap. They look solid and heavy duty. ...I like that. I was watching him do an assembly video and I was just blown the hell away. I am so antiquated and I have a hell of a lot to learn. Did you say you saw another vendor offering weighted knuckles? The axle mod you talked of sounds cool. I already bought a set of RC4wd front axles. Hopefully they are good. I didn't ask you guys 1st. I also bought a Vanquish trans case. It says "Made in USA" on it's package. Is Vanquish stuff all made in the states? I try to buy U.S. made stuff if I can and if it is quality. Especially if it is from a small business or person. That is what turns me on so much about the stuff from Dlux. Definitely U.S. made. Also small business. Holmes Hobbies stuff appears to be that way as well. What is the name of the man behind Dlux? ...All more newbie questions. I'm gonna have a lot. I hope that doesn't bother people. Especially because I will be asking stuff that has been answered before. Somewhere, at some time. I appreciate the expert advice immensely. This build is my first run at doing something that wasn't assembled in a factory...and isn't stock. Taking a bunch of parts and making something happen. If I like how this turns out...I will be hooked and will want to learn more. Learn how to fabricate things needed if that thing doesn't already exist. I already want to know how to do something that you guys probably consider elementary: Building custom links out of stainless or titanium. But...that is not happening on this build. I have to take things slow, because I am not wealthy. I am now a "truly single" parent. I have bills to pay and for at least the present...my income is limited. Possibly too much TMI...but this (coupled with a previous post) gives you an idea of who I am and what I am about. It all began with a 2 channel radio that was literally a tan aluminum box...back in 1986. Full size vehicles and choppers took over for many years; with only dabbling in RC. Now I am medically disabled and I am back to my roots. Vanquish stuff is definitely made in the US, I've heard/seen here their Incision line is outsourced but can't say for sure from where. The Dlux knuckles to suit AX10 are pretty much direct bolt on unless you tick one of the other option boxes, you may have to just clearance the C-hub on the top (I think) to fit, little work with a file nothing drastic. Rc is a wonderful hobby, allows you to build your dream with a tenth of the cost. I am assuming you picked up a hbz warthog chassis? This is correct, stock dog bones are plenty strong & usually only fail when steered passed their limit or a C-hub fails & wrenches the whole knuckle & shaft off.....but then thats true of all front axle shafts. The trap there being that often the expensive upgrade actually steers worse than stock but the expectation they'll steer tighter leads to failure. Uni joint shafts tend to be the best compromise of strength with increased steer angle, great if your comping & every last degree is critical, if your just having fun & trailing the stock shafts can be ine & updated once one fails from old age/wheel bind. Thanks so much for your input guys! I have been absent for a while. Life happened. Damn. Live and learn I guess. I (maybe, kinda?) wish that I didn't have to run the battery down on the axle. For looks and run time. Not much trail stuff happening with a 1300 mah lipo down on the axle. But maybe this doesn't have to be that. Maybe it can just be a crawler. Sometimes it's tough to have the best of all worlds. I definitely am not looking to go fast...I do not need that. I am trying to not spend a ton on this build...and I've already gone down that path to some extent. I've got some decisions to make now and I'm feeling a little discouraged this evening. With the money I have invested so far, I could have bought a RTR SCX10ii and had money left over and been up and running. You have a very unique rig most guys remember fondly. A rtr is not all they are cracked up to be. You have the added expenses of batteries and charger, and the electronics are ok at best. You can always mount the battery on the chassis, and get a few more. So if you are driving for less than the cost of a rtr you did really good. What electronics are you running? Right now I have the AE2 and the stock motor from the RTR Scorpion. The speed controller is kinda big to try and fit up into the Warthog Chassis. No radio yet. I need to find out how to post pictures here...but my time has been limited so I have just used this forum (mostly this one thread!) for questions and interaction. Right now I have zero running vehicles. Hahaha! While I was asking questions and twiddling my thumbs on the Scorpion...I ended up buying a Wraith. No rx/tx. Like new, with rock jock axles and lots of very nice/expensive upgrades. The guy who built it did an excellent job and it is ready to go. It was not cheap, but it was much cheaper than if I had bought a Wraith new, then upgraded everything to the level he did. So now I am at a financial standstill. I have to sell some things in order to be able to put money into these vehicles.